Ahead of Earth Day on 22 April, and six months on since the first Guernsey Green Fund was registered, Tim Clipstone looks at the evolution of ESG investment. With the world needing to invest huge sums of money (some estimate in excess of $3.5 trillion of investment annually) into clean and alternative energy research and generation to halt the increase in global temperatures, there is strong demand from governments and investors alike to be able to identify and invest in structures that pursue green or sustainable investment strategies that contribute to carbon emission reduction and clean energy generation. Many mainstream banks and large fund managers now have an environmental, social and governance (ESG) investment strategy platform, including JP Morgan, PIMCO, Blackrock, Bank of America and Morgan Stanley and asset allocations have followed. There is strong demand from governments and investors alike to be able to identify and invest in structures that pursue green or sustainable investment strategies"
According to the Global Sustainable Investment Alliance 3rd Report, there were $22 trillion of assets managed under responsible investing strategies globally in 2016, which was up 25% from 2014. According to JP Morgan, the majority of this investment has been in the bond market and over half of ESG investments are managed in Europe. Separately, JP Morgan has seen the AUM of global ESG Exchange Traded Funds (ETFs) increase from $4.97 billion in January 2016 to $11 billion by mid-2017, suggesting the growth in such strategies is continuing apace. But how do we know if the trend towards ESG is actually having a positive impact on the planet? Part of the criticism of ESG investing is that the terms environmental, social and governance investing are hard to define and are used fluidly. There can also be difficulty in determining if a particular investment actually falls squarely within the category as many investments have a mixed character when applying ESG criteria. As a result, benchmarking performance of ESG funds can be difficult as there is no consistent set of criteria and can lead to investor confusion and scepticism. 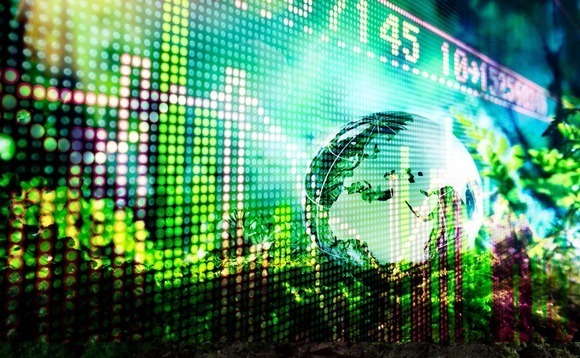 The issue of what constitutes an ESG investment has been looked at by various bodies including the UN, which has set out its own Principles for Responsible Investing. Other groups have concentrated on defining specific activities, including the joint finance group of multilateral development banks, which has produced a comprehensive framework of activities which encompasses climate change mitigation. This latter list has been adopted as the first set of standards by the Guernsey Financial Services Commission for their new Guernsey Green Fund wrapper for authorised and registered Guernsey funds. The Guernsey Green Fund designation is available to funds which have the objective of a net positive outcome on the planet's environment and at least 75% of their investments fall within the development bank's list. It is understood to be the first designation of its kind and, in addition to providing investors with a valuable assurance, should allow for accurate benchmarking within the sector if adopted by enough funds. In January 2019, ADM Capital's food-focussed Cibus fund closed at more than $320 million following its designation as the first Guernsey Green Fund. Subscriptions for the Guernsey fund, launched in 2017, stood at $208 million at the end of September 2018. By the time it closed a month later, after registering as a Guernsey Green Fund in mid-October, it stood at $322 million, with the Group's COO crediting the Guernsey Green Fund designation as one of the galvanising factors in getting investors to commit to the fund. There is no doubt that investors are increasingly looking to invest in companies and fund products that align with their views and lifestyles and which are promoting a cleaner, safer and more equal future. In addition, government funded grants for research and development of clean technologies continue to be made. Given this, the sector looks set to continue to grow, to the benefit of us all and contributing to a net positive outcome on the planet's environment.